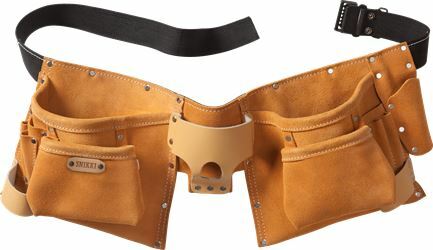 Durable and strong heavy leather tool belt for carpenters, joiners, fitters etc. 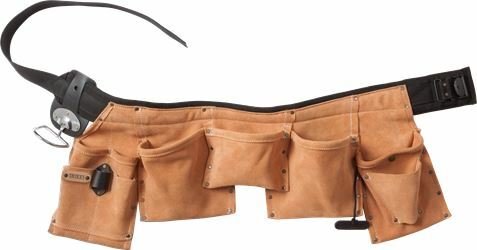 with compartments for frequently used tools. Material: Heavy duty split leather. 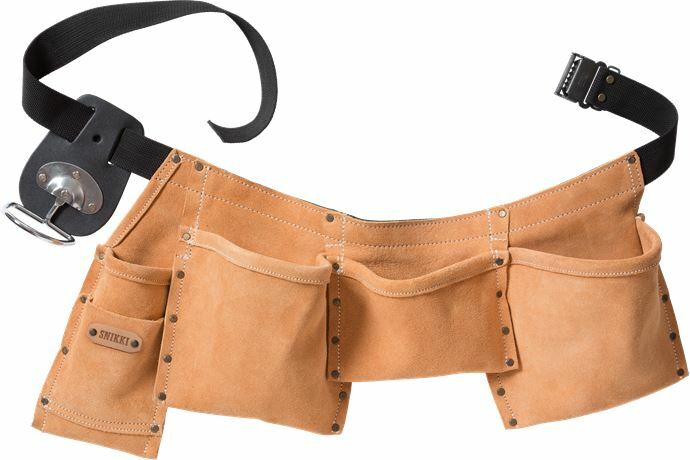 For carpenters, joiners, fitters etc / 40 mm nylon belt with metal buckle / Rivet reinforced / 3 loose-hanging pockets / Big pockets H 170 x W 140 x D 80 mm / Small pocket H 120 x W 140 x D 60 mm / Wide folding rule pocket / Pen pocket / Leather hammer loop / Belt length 122 cm.